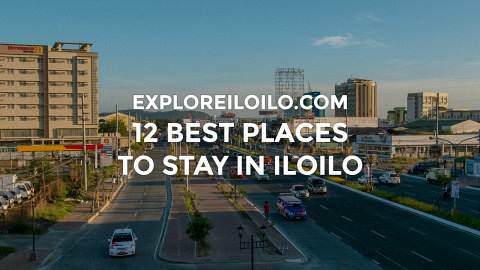 By ExploreIloilo.com Staff. Updated on January 3, 2017. Located 19 kilometers away or a 20 to 30-minute drive from Iloilo City, the Iloilo International Airport is the Philippines’ fourth busiest airport and regarded as one of the country’s most beautiful airports. It serves direct international flights to/from Hong Kong and Singapore, and domestic flights to/from other major cities in the country. The airport serves the provinces of Iloilo and Guimaras as well as the general area of Panay Island. The Iloilo International Airport’s strategic location in the central part of the country and growing number of direct international and domestic flights makes it an excellent alternative international gateway to the crowded Manila-NAIA and Mactan-Cebu International Airports. Terminal fee (airport user tax) at the Iloilo Airport is fixed at P200 per passenger for domestic departures and P550 for international departures. The terminal fee is paid in cash before entering the pre-departure area. Major airlines in the Philippines offer direct flights between Iloilo and several domestic destinations including Manila, Cebu, Davao, Cagayan de Oro, General Santos, and Puerto Princesa. Newly launched direct international flights are also available to/from Singapore and Hong Kong. Airlines operating at the Iloilo International Airport include Cebu Pacific, Philippine Airlines, and their subsidiaries, Cebgo and PAL Express. The airport is designated as one of the flight hubs of Cebu Pacific. Flight duration posted are approximate calculations. Flight routes and frequencies may change without prior notice. Contact the airlines directly for inquiries. If you want to buy cheap flights to or from Iloilo, you should be hunting down seat sales or promo fares. Cebu Pacific announces promo fares every week. The promo alerts usually include Iloilo flights. Philippine Airlines, on the other hand, posts promo alerts rarely, so you might want to buy a promo flight with PAL if you are lucky enough to chance upon one. Promo announcements are posted on the airlines’ official website. To make it easy for you to check promo alerts from multiple airlines in one site, you can check promo fares on detourista.com for the latest promo alerts from Cebu Pacific and Philippine Airlines. In addition to promo fares, you may also check airfare comparison sites. Enter your travel details on the search box below to search cheap flights on Wego. The Iloilo Airport is approximately 30 minutes away from Iloilo City Proper. Several transportation options are available for arriving and departing passengers, including taxis, shuttle vans, and public commute. Taxi — All taxi cabs in Iloilo may be hired to get from the airport to Iloilo City Proper or vice-versa. The taxi drivers will most likely opt for a fixed rate rather than using the taxi meter. The taxi fare going to the airport from Iloilo City Proper range between P350 to P400. Shuttle (van) — There are a shuttle services that ferry passengers between the Iloilo Airport and Iloilo City with pick-up/drop-off points at SM City Iloilo Mall and Jaro District Plaza. From SM City Iloilo Mall, the fare going to the Iloilo Airport is P70. Passengers are advised to be at the SM City Iloilo transport terminal at least 3 hours before their scheduled flight because drivers only leave when the shuttle is full. From the airport, the shuttles ferry passengers to the city at a reduced fare of P50. Drop-off at “Bangga Dama” Intersection in Santa Barbara Town. Your landmark will be the Total Gas Station and Mercury Drug store. Ride Multicab direct to the Iloilo Airport (10 minutes) – P10 fare. It only takes 10 minutes to get to the airport from Bangga Dama but waiting time at the multicab terminal may take up to one to two hours because the drivers only leave until the multicab is full. If you are arriving at the airport and want to commute your way to the city. You can find the multicabs stationed near the departure gate, found at the far side of the passenger terminal. Drop off at Bangga Dama intersection in Santa Barbara town. The multicab ride takes 10 minutes and costs P10 per person. Then, ride a Santa Barbara jeep to Iloilo City (P16 per person fare). You may drop off at SM City Iloilo Mall and take another jeep or taxi to your destination. The land journey from the Iloilo Airport to Boracay takes around 5 to 6 hours. The trip involves a bus or shuttle van ride from Iloilo City to Caticlan Jetty Port and then a short ferry crossing to Boracay Island. Caticlan-bound buses depart from Tagbak Terminal in Jaro District, Iloilo City. To get there, passengers can ride a 30-minute shuttle (P50) to SM City Iloilo Mall and then another 20-minute “Leganes” jeepney ride from Jalandoni-Diversion Rd. Intersection (across SM City Iloilo). By taxi, Tagbak Terminal is approximately 40 minutes away (P350 to P500 metered taxi fare). Read more information about land transportation from Iloilo City on our Iloilo Jeepney and Bus Guide. In 2012, passenger movement at the Iloilo International Airport was recorded at 1.85 million passengers, one of the busiest in the Philippines. It is the 4th busiest airport in the country in terms passenger traffic and the 5th busiest in terms of total cargo handled. The New Iloilo Airport was inaugurated on June 13, 2007 and opened to commercial flights on June 14, 2007. It was a replacement to the old Iloilo Domestic Airport in Mandurriao, which has served Iloilo for more than 50 years. The New Iloilo Airport was built to accommodate the rising number of air passenger and cargo traffic in Iloilo and improve air transportation safety in compliance with international standards. The Iloilo International Airport has a 12,000-square meter passenger terminal, touted as the most modern in the country during its completion. Complete separation for departing and arriving passengers. Belt conveyor from the check in to the baggage loading area. Flight information display system to guide passengers of the aircraft’s time schedule and destination, and a transit counter. Close-circuit television for security and monitoring purposes. Three units of passenger boarding bridges, which can stretch up to 35 meters when fully retracted. The boarding bridge is accessible via a separated gang-way (one each for departing and arriving passengers). 6 x-ray machines, Mabuhay lounges for departing passengers and VIP room, smoking rooms, concessionaire areas for shoppers, lost and found section, counters for hotel and car rental bookings, allocated public telephone booths and others. Handicapped friendly, with railings, elevators, escalators and dedicated space for handicapped in the comfort rooms. The pre-departure area is located at the third floor of the building, with at least 436 seating capacity. The baggage claim area is located at the ground floor, accessible from the second floor with two units of 51 meters conveyor. There is also a separate section for the waiting public and well wishers at the arrival and departure concourse. Iloilo International Airport’s Cargo Terminal has a floor area of 1,300-square meters and was designed to handle as much as 11,500 meteric tons annually. The Iloilo International Airport is equipped with a 2.5 kilometer by 45 meter wide runway, which can accommodate Airbus 330 and 340 and Boeing 747 planes. The airport can accommodate 6 planes at one time. The parking area at the Iloilo International Airport is designed with 414 slots for private cars, complete with tollbooth and a drivers’ lounge and rest rooms. 3 kilometer access road complete with landscaped center islands, adequate lighting, and drainage facilities. 9-storey 35 meters structure control tower. Fire Rescue Stations with a fleet of Mercedes Benz firetrucks imported from Italy. Runway lights and an Instrument Landing System capable of supporting landings during low visibility and at night, and runway designation designed to cater to bad weather conditions. Sewage Treatment Plant which can separate the liquid from solid waste, which is then processed into an organic material (fertilizer) for the plants. The liquid is recycled for watering purposes. Material Recovery Facility (MRF) structure for the segregation of the solid waste collected in the airport. Planning for the New Iloilo Airport project commenced in 1998, during the administration of Joseph Estrada. In November 1998, Estrada signed an executive order that created the Iloilo Airport Coordinating Committee, headed by Iloilo-born senator Franklin Drilon, one of the chief architects and supporters of the project. The New Iloilo Airport project was inaugurated by President Gloria Macapagal-Arroyo on January 25, 2004 in Cabatuan, the primary site of the airport. The airport project was to be funded with a 6.2-billion peso loan as part of a loan package provided by the Japan Bank for International Cooperation. It was decided that a new airport was needed for Iloilo City after it was found that Mandurriao Airport was unexpandable due to operational obstacles and the presence of structures that prohibited its expansion, such as slum areas and other natural and civic structures. Physical construction work on the New Iloilo Airport started on April 14, 2004. The original expected deadline of completion was June 2007, although the expected deadline was moved to the first quarter of 2007. The Taisei Shimizu Joint Venture company was the contractor for the project, with Phil-Japan Airport Consultants, Inc. managing the project and serving as the government’s consultant to the project. The Panay Railways is a proposed project planned to hasten travel time from Iloilo to Roxas City and vice-versa. One component of the Panay Railways project includes a spur line direct to the Iloilo International Airport. The completion of this spur line will significantly decrease the travel time from the New Iloilo Airport to the city. Discover more blogs and travel tips in Cabatuan. Hello I am Yumi, I would like to ask if I go back to Korea and I am already a Korean passport Holder, am I obliged to pay a terminal fee or such taxes at the airport? Thank you. You don’t pay terminal fee and travel tax at the airport. The terminal fee should already be included the price of the flight ticket when you purchased. The PH travel tax is for Philippine residents and foreigners on long term visa. From the airport, how can we find Molo terminal. We are planning to head to Antique for our first 2 days. You can ride a taxi to Molo Terminal from SM City. Takes around 5-10 minutes. By jeepney, it takes 2 rides. You can ride any jeepney from SM City side of Diversion Road. Drop-off at the “stoplight” / flyover intersection. 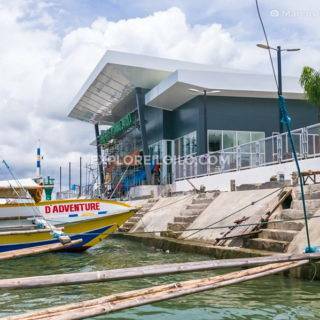 Then ride a “Villa Arevalo” or Molo Mandurriao Jeep to Molo terminal. very pityful is the International Iloilo Airport – not even has an own homepage. Maybe Kalibo Airport will allow you just to copy it and only change the pics and words? Last night I asked my neighbour to send me to Iloilo airport by his his tricycle (private motorised 3 wheeler) but security man stopped us from entering the airport compund, 3 KM away! He said no tricycles are allowed because of multicab drivers want to protect their own interest. What a stupid idea. Competition is good for all. Why disallow the smaller transport operators like tricycles? I wonder if passengers are allowed to walk this 3 KM? May be it is banned too to walk. Hi Jesson, do contact the airport management directly for your request. I am not sure but I think the shuttles only operate until the late evening hours. Alternatively, there are taxis available for early morning flights. I lost a scarf at the airport. I will be taking a flight from Puerto princessa next week so i wanted to know if it’s possible to transfer my scarg to Puerto princessa’s lost and found so i can get it there? How can it be called an international airport when it does not have a Duty Free Shop. This is an essential requirement for all international airports. Plans of opening a Duty Free Shop at the Iloilo Airport is already underway. Update: Duty Free Philippines is now open at the Iloilo International Airport! Pwede po ba kami mag park ng car for 5 days sa Iloilo International Airport? tommy james…im sure nag enjoy ka dito sa iloilo…sa pag stay mo at bumalik ka ng january for watching dinagyang..astig mo jude!! what are the fees that we need to pay upon checking in? Thanks! I would like to rent a car on my next visit, is there a reputable car company where I can rent? Or is there an area inside the terminal where I could do the transaction? I hope that this upcoming visit will be easy and smooth and leave great impression about Iloilo to my children. They were shock on their last visit to see extortion going on at the airport in Manila. According to our research Iloilo International Airport is up to international standards and hope bathrooms are included. Looking forward to see Iloilo again. Hi! magkaro-on kaya ng “Duty Free” ang Ilo2 International Airpor? Sana nd na ako mag stop over ng Manila para lang mag-shopping sa “Duty Free”. Hello po. Updated pa po ba ang info sa taas? Yung pano po maka punta sa Iloilo city from airport.. THIS COMING SEPTEMBER 20-24 2012,ILL BE THERE IN ILOILO CITY.I SPENT 4 DAYS VACATION.I ADMIRED ILOILO CITY BECAUSE OF THE LIKAS YAMAN NG ILOILO…LIKE MIAGAO CHURCH,BORACAY,AND OTHER TOURIST SPOT..THIS IS MY FIRST TIME THAT VISIT ILOILO…IM SURE ..A LOT OF FUN AND ENJOYMENT…. Toilets are messy! For the terminal fee they charge they should be ashamed. I have gone to airports outside the Phils. They do not do this outrages things, it’s almost always clean. This is just humiliating to be called International Airport. Sorry for my english not being so well. Hope they improve this mess of an aiport. pls pls need help… too expensive if ill take taxi..
so if its possible i can take van at 4am going airport from SM City? hi guys i have a question later at 6:15 am im going airport but the problem is can i take the L300 van going airport fom SM city at 4am? Pls help me find a small pink rosary beads (very important, has sentimental value), which I may have drop starting from dis embarking from my AirPhil Flight 945 from Manila 4:45AM flight. From the plane I passed by the comfort room for the elderly. I would be very happy to hear from you, since the pink beads is so important to me. I am 61 years old from Alta Tierra Vil, Jaro, Iloilo. I grew up in Iloilo and my parents still live there, so I go home at least once a year. I have seen the Iloilo airport when it was still brandnew and I was very impressed. But during my last couple of visits, I noticed how the restrooms have deteriorated. I think the services provider they outsourced to is not very exposed to world-class standards of cleanliness, which is too bad because the airport claims to be of international standards. The cleaners seem satisfied with the mall-restroom look and smell. They don’t replace the tissues and paper towels regularly. I’ve been to older airports with much cleaner restrooms! Hi everyone! need your help pls? we will be on vacation next month. coming from Capiz via ceres bus, dunno how to get to Iloilo airport, and how much? im so afraid of the “patong” ng pamasahe if we ride the taxi cab….any infos will be appreciated, thanks! mag van nalang kaysa mag taxi. laki pa ng tipid mo. Php 50 lang from SM City Iloilo to the airport. Leasing or renting cars is really not popular here in the Philippines. The best you can probably get is a van rental. Here’s the first site I found. Google yeah the great wall of light. You whine too much man. I need to rent a car at the airport when I arrive in ilo-ilo next week. Why is it that I can’t find a single website that actually WORKS !!! And what’s up in general with the absolute terrible quality of websites in the philippines !!?!?! I would like to comment on Simon Choi: The Airport Manager of Iloilo Airport is considered to be the Lion of the Airport Industry. I think accusing the airport of something about bribes is too far from reality. Hindi nga ako makapasok sa ibang areas sa airport knowing that I am working with the navigation facilities and the head of security is very particular about those situations. To the Iloilo flying public, I can assure you of the Iloilo Airport’s best service in all aspects. @Simon Choi..how frequent is frequent quantitatively?—-and Phil Airlines is not Iloilo Airport FYI….and whatever how the crew conduct themselves is not the fault of Iloilo in general….Iloilo Airport is new for the fact that it is a replacement of the Old Airport…, so the principles applies… if you have a old house and then you bough a new house 10 years ago… its still your new house whether its 10 years old since you bough it….i believe you came from pihak na isla… you sound sooo familiar …. tingala pa kamo kay simon choi, taga piyak isla na. bal an nyu ila airport didto daw tae. isa lang flight nila pamanila no pa.
did they make a feasibility study for the airport if it could cater intnl flights? i think some ppol here r right. tourist/foreigner are only eyeing boracay island unless those islands near iloilo will b develop. well i think this is wat this blog s ol about- promoting iloilo. maybe investors will c those islands dat r potential tourist destination. I really wish that this would eventually be capable of catering to international flights as I hate having to go through Manila every time I travel to Iloilo. The airport has a nice facade and the floors and surroundings are clean but the bathrooms are a mess. There’s no toilet paper or soap almost every time I’m there. No free wifi and the connection at the coffee shop is really slow. All in all though it’s an improvement over the old aiport and maybe eventually Iloilo will become a hub for international flights. Hopefully. I am a frequent traveller to iloilo. This airport is not new. I use it for many years before. Crew of airport is impolite. Many small flies were seen crawling at dry grapes, nuts, peanut at business class club of Phil airline. Waitress and waiters are seen eating some snack at the soda fountain of the club with their hands and then working again without washing.Sometimes, security guard of checking counter asking peso and moving their fingers as signal to me. I do not like this bad manner. i think datz wat dey learn from manila. I’ve been 5 times in Iloilo. The last time, we arrived at this new airport. It’s so great, compare to the old one. It’s clean, clear and comfortable. @ Lui you can safely park there even months to year….as long as you pay the price…. i have no contact number of airport you mean Air Transportation Office? good evening! tanong lang po ano po ba ung contact numbers ng iloilo airport, saka me idea po ba kayo kung pwedeng mag park ng one week…safe ba? thanks! wow airport have new iloilo beautiful that..
My observation in the numerous times I’ve been going to-and-from iloilo last year and this year is that some of the x-ray machines don’t work,and one time they had to open/search the bags manually.And the Check-in area is also getting crowded..If the airport is to serve international flights or needs to cater another airline…There would be a need to expand the check-in area..It has ample space when you go up to the pre-dep where you pay the terminal fee and final x-ray check..and the pre-departure area a high ceiling, sky light and wide space for you to roam around. You have an impressive airport terminal. I have heard how beautiful is the airport of newly constructed Iloilo airport and the way i see in this pictures indeed they are telling the truth. In my own opinion, the new Iloilo airport is at par with Davao airport when it comes to design and facilities.Worldclass ang dating. When I was at Iloilo last 2004, it was still the old airport but now parang international na ang dating pala talaga. How I wish our Gensan airport will soon be like Iloilo & Davao and I know it wont take long. By the way Cagayan de Oro is also having their new airport terminal construction underway. So madami ng magagandang airport sa VisMin. kapag ang flight schedule is 4am? to Ilo-ilo Airport? Where can we board these vehicles? we will be proud of our self as Illongo, sana they will maintain the restroom of our new airport. they have no toilet paper but the airport mngmnt.will not leave it because it will be stolen away by others passengers.i bring my own roll of toilet paper for personal use. i hope the next time a foreigner caught bringing a deadly weapon esp. GUN will be prosecuted. no special treatment.we need to address this to our security dept. i did used our new airport twice and it is so nice & beautiful. ang official name sang airport is ILOILO AIRPORT of INTERNATIONAL STANDARD!!!!! OO nga no….. may demand na kaya…… kasi….. nga sa OFW natin… May nakasabayan OFW from london….. nahihirapan daw sya mag via manila…. kasi ang daw from london via hong kong sya tapos manila ang iloilo pa.. sana mag open na ang PAL at Cebu Pax ng Iloilo – Hongkong na flioght as what we have hered in the news kasi mas viable… ang iloilo hongkong na route…..
ammmm-what a nice pics.lol a very nice nd wonderful international airport in iloilo.actually i love to flight again going back in iloilo airport..!hope it’s still same when i had my flight in iloilo going cebu……MABUHAY TO ALL ILONGGOS-we are very proud to present our place;because we have a nice nature……. Exactly why the other cities, why Iloilo can not open the International fligths? Panay Island alone has more and bigger population than cebu,they have 3.5 million only, ang panay may 5 million na tao, makasanayan din nila yan pag nabuksan na,kong ako ang pasahiro bat pako pupunta ng cebu o manila na mayroon naman sa Iloilo.At keep tract Iloilo is one of the biggest in the country na may Overseas Filipino Workers sa Abroad.Alam na Alam Ko na kaya ng Iloilo Buksan nyo lang ang international fligths for Iloilo para magkaalaman. Eh 4th bussiest na nga ang Iloilo wala pa ang International Fligths diyan aba mas maliwanag na napakalaki ng potential ng Iloilo sa International Air Arena sa Pilipinas. What is the nearest recommended beach resort from this airport? How to get there and how far is it? I am traveling with a 2 year old. Thanks. I was at the airport last Jan 18, 2010 and witnessed how the police and airport officers of Iloilo airport treated and american national in the name of JAMES CHRITIAN PFEFFER when he was caught carrying a deadly weapon. It’s an insult to us filipinos coz the latter made an allegedly crime against our peace and order policy and he can get away with it. He was not detained, hence, got a special treatment. WHY???? I don’t think this event was even document. Please don’t deny this happening. We we’re all there to witness how unlike they acted. Well, sad to say, maybe Mr. Pfefer’s money is greener? Huh? I wonder if it’s a normal Juan de la Cruz who’s in that situation. How will he be treated? This is so sad. I challenge the management of Iloilo airport to put an action to this. I would like to commend the airport security and staff at the pre-departure baggage x-ray. I forgot to pick up my camera bag that contained my handycam, book reader, mp3 player and other important stuff. I only realized it when I was already at the check in counter. When I came back to look for it, the police officer and staff were very professional in handling it as my bag was with them and everything was intact! Kudos to all of you and thank you. Christmas would’nt have been the same. Napakagangda talaga, perhaps the most beautiful in the country. Kagaya din ng Dinagyang Festival nila the Most Unique and Most Beautiful in the Philippines. Hi Ilo-ilo Good news for you!!!! ILOILO CITY â€” Two commercial airlines plan to launch international flights from the new Iloilo airport, according to the Department of Transportation and Communications. He said Cebu Pacific plans to launch its Iloilo-Hong Kong flights while Korean Airlines will mount the South Korea-Iloilo service. The new airport can accommodate aircraft as large as the Airbus A330. Mr. Mendoza said President Gloria Macapagal-Arroyo has ordered the establishment of an international desk that will be manned by Customs, Immigration and quarantine inspectors. The Regional Project Monitoring Committee of the Regional Development Council for Western Visayas has said the Iloilo airport can generate P280,000 from terminal fee collections daily from international flights. The airport currently serves 16 outgoing domestic flights daily, with an average volume of 90 passengers per flight. CONGRATZ….. TO ALL OF US…..
CONGRATZ TO ALL OF US…..
Wow, finally the international flight will start soon! Hala Bira ILOILO!!!!! Cheers!!!!! wow i love iloilo airport very beautiful and clean its my firstime togo there last march 2010 i take my vocation there in maasin iloilo wen i saw the airport im fel.flattered becoz i did not expect iloilo airport are very famous according to us.abcurse im proud becoz im illonggo too. Iloilo International Airport is AMAZING!!!!! a cabatuan iloilo resident informed me about the news from the dept of public works in your city that they are building a “circumferential roads at you alls airport” Is this true?? or it is just the same way of plowing the dirt over and over again.We visit your city every year in the dinagyang and we stay and enjoy the food in iloilo and cabatan but i believe if these roads from the bridge to the town of san migel be in concrete or at least made of tar it will be fantastic to drive going to the nearby beach of gumbal. I hope someone could encourage your local government responsible for these projects be worked out.I am just making a comment here but if it’s true and happens your city will be beautiful and like a paradise.I am not the only one who appreciate these place but alomost every dinagyang festival there are a few friends that comes with us every year interestingly to experienced this unique festival. [re=56056]Jolly[/re]: naturalized by virtue of marrying an american citizen and youre staying on mississipi right now. youre from molo before you went to the states. ms jolly hav u been back to iloilo? your comments seem to picture you as very knowledgable of the islands on that region. Very nice airport. When international flight starts, then time to think building Terminal 2. ILOILO Airport deserves another terminal next to the other, at least 4 air bridges. I hope the message will reach to the President. Cheers! This is for our new airport..Really worth reading and really for Ilonggos…I really salute the dedication of how the Japanese Consultant(JAC) and the main contractor(TSJV)run this project(NIADP). Lets be thankful to our Japanese managers, engineers who give and share their descipline and effort until this project finish. Besides their presence not only Cabatuan and Sta. Barbara benifitted economically but the city as well. During construction stage restos and bars their presence is noticeable..city is very alive. Not only that after finishing the project their is trust and bonding among our Engineers grow more deeper that even hiring them in their next foriegn project..Dubai,Vietnam, China, Singapore and of course Japan. Whenever you see a Japanese project abroad sure their is a Filipino…again we’ve to value and give our fullest care to our New Airport. I am impressed w/ what you did here in your web site.Good work and keep it up. is there any plans to have a direct flight from iloilo to cayagan de oro and davao? without passing cebu city(mactan airport). goin to this places takes time because you have to pass cebu. from cebu then only you can take your flight to any major cities in mindanao…or maybe they(airlines) propose manila-iloilo-then to other major cities in visayas and mindanao to lessen the air traffic in cebu. All I can say is persecute the vandalisms all over the place. Dapat pasaka-an ina sang bill sang City kag Probinsiya sang Iloilo. Ang VANDALISMO oras nga madakpan at least ONE YEAR in jail. Amen! for the new iloilo airport i’ll encourage ilonggo frequent traveller to take note any unmaintained place within the passenger terminal especially bandals, spider webs on high level ceiling, on lighting fixtures…take photo and comment and upload to ExploreIloilo. lets help maintained the standard and cleanliness of this Lardmark project. buylogan ta gid ang pagmentina sini…aton ini kag para sa tanan nga mga ilonggo. basi bala after 2-3 years daw mercado na histsura ya. kanugon gid…just want to share some hardship and dedication of some of our ilonggo engineers…way back from the mobilazation of our japanese consultant and contractor…ang mga barikada…ang mga libo libo nga mga aplikante halin sa mga nagkalain lain nga banwa…ang mga nagasinumbale nga mga dumtrucks…mga quarrying..mga slippage nga balita…mga issues sa mga relocation sa mga tag-iya sang lupa..siyempre ara ang corruption..pero ang imporante natapos kag ginagamit na. This is my first time visiting this page and was in awe. Just simply beautiful, the content and and the fabolous photos. I don’t know where to begin, I would like to thank the editor for his amazing work and talent for creating this web site. I’m always fond of the natural beauty and rich architectural structure of IloILO. I grew up half of my life there, and seing the place after 15 years is like wow. And I would never imagine that Ilongos has finally taken time and heart to learn to preserve the history. I am so happy that Ilongos are working together to improve the city and that the other major cities who use to be the main attraction appreciate the hidden beauty within the other islands, such as ILOILO. I salute Yall (from TEXAS) for doing such phenominal job in combining the modern world with ILOILO own natural beauty. IloILO gugma ko! I think reviving the Panay Railways would definitely help not only hasten travel time but also lessen traffic in the streets. Pabor gid ko sa nagsiling about sa flyover sa Gen. Luna minango nga ubra gid man! I’ve been a student of USA, Iloilo for 4yrs and each time makita ko ina gainit lang ulo ko. Hinangag nga ubra nagusik lang sang kwarta, tani naminsar sila sang maayo bag-o gin buhat ina. I mean they’re thinking about development sabagay sino man ang hindi gusto sang development haw?! ugaling wala man gina kay-oha! Daw gin expermintohan lang, unless otherwise kung my plano sila nga mangrelocate sa mga istablisimento dira sa Aurora Subdivision banda! Gusto ko sana humingi ng tulong sa inyo kung maaari lang. Nakapunta po ako ng iloilo last 2001 and i met some very good people,friendly talaga. i stayed there for months and learn the streets,life and some dialect. My friends gave me number to call but its been years and when i tried to contact them it seems like they have change their number so i donÃ¢â‚¬â„¢t know how am i going to contact them.If somebody knowÃ¢â‚¬â„¢s these people please i would really appreciate it. There names are (wyette,wowie and borge cava, i think they were from janiauy). Please if you know these people ,please help me. @jon: hehe, indi pa man sigurado ah. I believe that regular international flights to and from Iloilo is a certainty. The only question is when. Now that’s what officials and businessmen are now working on but I feel it wouldn’t be a long wait. All we have to do now is to create the demand for flights to and from international destinations on a regular basis, meaning: increased cargo volumes, passengers. Airline companies cannot ignore the business potentials if it adequately proven that in is in their business interest to operate flights coming in and out of Iloilo. When they realize the business potential (short, mid-long term), they will be scrambling all over the place to get their slots in the airport. AS i always say, these are exciting times for Iloilo. not sure about that. No official statement has been released yet but definitely international flights are already being planned. I HAVE TO ASK THIS IS IT REALY TRUE ABOUT THE NEWS THAT ILOILO INTERNATIONAL AIRPORT IS NEGOTIATING ITERNATIONAL FIGHTS TO AIRLINE SUCH AS FOLLOWS<< CATHAY PACIFIC , SILKAIR, AND KOREAN AIRWAYS?? I HAVE HERED A NEWS ABOUT THAT!!!! The construction of the new Iloilo International Airport was very good! It’s a nice place to experience where many tourist around the world can easily attract the place!!! Question: Is there a direct flight from Korea to Iloilo??? Thanks and God Bless!! Waiting for a response! can’t wait to get back to iloilo…na-excite na ko nga makita ang airport..wehehehe..tani di ako madula..hahaha!! nice photos.u help me a lot for my presentation….thnxxx very much…………. I’ve been reading the posts here and I must say the Iloilo Airport is indeed one of the best designed airports in the country today. Whenever I receive visitors from the head office, I never fail to get oohs and aaahs over our new airport. It is something to be really proud of. However, I take exception to all those comparisons with Cebu or Davao or any other places in the Philippines. What’s the big deal about these comparisons? So what if Cebu has been dubbed as the Queen City of the South…was that title up for grabs anyway? I mean, in my own view, who cares who gets what title?! Past is past and we can learn much from it. Comparing won’t get us anywhere. What is more meaningful and fruitful is that we join forces with other provinces to maximize our strengths. We have to move things forward for Iloilo. Meaning more businesses, more jobs, maintain and enhance quality of life for the residents. The important thing is that Iloilo now is making huge strides. As an Iloilo resident, I know the city and province has so much to offer and the potential for growth is mind-blowing. Since we are on the topic on the airport, what we need now is more passenger and cargo traffic for the facility to reach its full potential. Let’s not just depend on Dinagyang and other festivals since these are seasonal activities. What we need is constant traffic and that means more business, more enterprises, more people taking flights not just for leisure but more importantl,for business since it creates more opportunities. More goods and cargoes. We need to encourage more investment, more economic activity the whole year round…365 days. We have to keep that airport humming and drumming constantly. From what I gathered on Cebu, their airport is so busy not just because of tourists but more so because of their triving export businesses. Same thing with Davao too. Given this scenario, we can learn and work with these major cities to Iloilo’s advantage. Making comparisons just won’t hack it since it will be just talkl about form, not substance. C’mmon… let’s work on it for Iloilo! Dira ka bilib sa Ilonggo, pirme gwapo. Makita mo ang proweba sa bag o nga airport. Naga lupok sa kanami. Daw kanami na mapuli kaso lang wala kwarta. Supot lang ta anay ah. Sa taga Tubungan, maayad ayad nga adlaw kag Mabuhay kita tanan. hindi ko ya taga passi as what you are expecting…. sorry! jon, while it is true that everyone has the right to “freedom of expression”…. yet, one should also take responsibility on the words he/she has written or uttered……could surely get a compliment or otherwise. Freedom of expression can sometimes be abusive and annoying. However everyone is still entitle to his own opinion. So what is really the name of you alls airport? i had seen the mardigra group of native Philippines when i was in San Antonio my plane ticket for the real big occasion to see says, Manila to Iloilo Airport, – which one is which i am totally confused.I hope we’re not going to land in jolo mindanao. There could be some other websites that your category or your caliber fits.I have read all the postings in this website from the very start to this point and there are even a few personalities that were annoyed by your inadequate sophistication.Maybe mr owner of this website is busy with his school stuff at the moment to monitor your none smart contribution, or he kept you doin what you were doing so he could see some little disaggreement in his website to keep it going, coz it seems to me that you have the most numbers of posts in his website that don’t make any sense at all.But i would like to let you know that you are the one that making his website not attractive to anyone at all.You are misleading and confusing everybody, if i was you, just name that airport and the whole city of Iloilo with your name so the merit can go straight to you. I love to see the pictures in this website but since you were here i dont care about it anymore. You can invite all your buddies here with personalities and a little itty bitty brain like you so you could drive everybody away and you can express all your freedom that you were saying that you dont even know. i would just like to comment that one of the guests in this forum must be a big member or part owner of this website who could not be blocked,banned or removed for reasons he/she kept on pushing the so-called datu puti international airport.I guess there are a lot of straight discussions about how and in what way we can promote our city to a better progress.If some of the posters here doesnt even knew what in the world what they were talking about, it is just very embarrassing and very misleading to someone else who does and could bring up an impression to illongos who have no sophistication and just plain I…t(doesn’t make sense at all but ruining this website. I dont know if someone believes what i was trying to say or anyone could just jump onto me and delete my posting but at least they read my statement, They will hold themselves guilty if they do it. Hey!!! xxxriainxxx i’m sorry to disapiont you but!!!! are you aware that iloilo is the regional capital of Western Visayas and not Kalibo hell no!!!! and are you aware that iloilo does not hold only it’s economy from torist. and remember that iloilo has alot of nice beaches and alot of facinating seaniries. and are you also aware that we will have an international flights on september.. (By Cathay Pacific from Soul to ILOILO. and also i have hear from a reliable source that pal is planing to have flights from San Francisco U.S.A dirict to Iloilo) hell yeh!!!! in your face!!! and does your airport can accomosate biger plans such as boieng 747 and airbus 330!!! hell no and im sorry to tell you that well are also anticipating flights from singapor, hongkong, and malaysia….) so sorry but as i have said befor iloilo is the regiobnal capital of western visayas and not kalibo!!!!! also with the help of guimars!!! as a torist spot!!! in your face!!!!!! John Gaje statements sound funny. Well, it is not Cebu’s fault why they became “Queen City of the South” now. In fact, they really deserve it on account of the enormous progress they had attained now. But i believe ilonggos could grab it back once more if the people and its government would join hands together working seriously towards the fulfillment of our common dreams. A city that is God-fearing, peaceful and self-sufficient. we’re going to watch the dinagyang “08” pretty soon..we hope ilognos are very particular and could guarranty about the security,safety,cleanliness and neatness of your wonderful city.We been in your city and the dinagyang 4 or 5 times but we’d like coming back if the situation like this favors us all the time. I am also a centralian(high school) pero college ko ofcourse WEST VISAYAS STATE UNIVERSITY…hahaha Chy! !..anyways John ang mahambal ko lang syempre damo schools sa ILOILO CITY and i wish more jobs are offered for new grads…..also when it comes to religion we’re A L L created by GOD and design according to His purpose BUT not all are His children..meaning no religion can guarantee someones eternal life..its an individual relationship to GOD…. u can be a protestant,baptist or whatever sect but most important is for a person to have a saving knowledge of our savior Jesus Christ..a person can become a member of a church or denomination but not truly His disciple…..in short mas maayo “christian” nga word na lang gamiton meaning u have Christ in you……dire sa AMERICA- — religion plays an important role but most campuses in the universities usually have christian fellowship group…not labelled as Baptist/Prostestants…they call themselves c h r i s t i a n s and they are from different churches- all believers….AACF-UCLA..asian american christian fellowship at University of California Los angeles/Berkeley/San Diego and so forth……pero ang mahambal ko lang every year gataas tuition dira wala na rooms ang mga estudyante siksikan na ang campuses dira..dapat mag extend sila lapit sa new airport..oh well it’s all be under lots of biddings ..lots of corruptions..what else? ?L O L…at least ang Iloilo ga uswag man..we have to enjoy what blessings we all have daily cause we don’t know what tomorrow brings…ang mga projects sa ILOILO all long- term and it needs billions to realize all those dreams ..it takes lots of time….lots of prayers..mabuhay mga ilonggos!!! Wow!! Iam proud o the new Iloilo Airport. Mas-nami apa ang Airport ta sa Cebu!! Hi-Tech Na! Futuristic pa ang Design kag matinlo. kag madamo pa sang Universities kag Colleges ang Iloilo. Isa na dira ang Central Phlippine University ang pina ka daku nga University sa Western Visayas. ang C.P.University was founded by Pastor Reverend William Oreson Valentine siya ay isa sa mag American Baptist Foreign Mission Society. Kag ang CPU Is Asia’s 2nd Oldest Protestant University kag 2nd sa Silliman University sa Dumaguete City. Ang Silliman University Is Sister School sang CPU. Kag ang Miss Dinagyang is Also Centralian from CPU. Kag nadala ang Dinagyang sang Iloilo sa Aliwan Fest sa Manila. Kag ang CPU man ang may pina ka daku nga Baptist Church sa Philippines kag South East Asia. Kag Tani Ang Bag-o nga Airport sang Iloilo Is madu-ngangan pa sa future sang iban nga Terminal kag Runway, and I hope that!!. I am also Baptist “Protestant” ang akon nga Religion. kag sa estimate ko!! damu na guid ya “Protestant” nga Baptist sa Iloilo City. kag tani ang nakita ko di sa Explore Iloilo nga website kag ang Daily Guardian nga News website nga after 3 years ang hambal ni Mayor, Jerry TreÃƒÂ±as nga mabutang sang Iloilo Airport nga 2 ka Transit nga Train nga Halin sa New Airport pakadto sa City o Iloilo. Kag Panay Express nga duwa man ka linya nga Halin sa Iloilo City pakadto sa Roxas. Ang Impormation nga ni!! about sa ipa-tindug kag gina planohan nga Transit Is Tuod2x, Visit lang kamo sa Daily Guardian nga Website or I-type niyo lang diri sa search diri sa ExploreIloilo.com nga website. Go Go Go!!! Iloilo the Premiere City of the Philippines in 2015 in the Daily Guardian nga website. Kag mga buwisit ang Cebu kayt gin agaw nila ang trono naton nga Queen City o the South. ti man nami gid ang airport- kaayo-on tani nga permi matinlo? what is jd? i hope that is really good. May ara na to JD sa NIA! Chy, could you please delete the posts of “jon”. Ga-create lang ini sang confusion sa mga gabisita sa site mo. I also suggest na i-banned mo na lang ang IP nya. Please also delete my post here once you take action. Can we remind our web administrator to take care of some of the very confusing posts here, … we are fixing to go to Iloilo this coming Dinagyan “08′, ihave 26 people from the cattle town of Texas with me, and i was hoping not to confuse them with what’s Iloilo has got.Places names, historical sites and everything original about Iloilo, so i hope this site of yawlls mentains its decency coz everyone is lookin at it alot of times specially those nice pictures. We from somewhere would appreciate very much in touring and seeing your beautiful city purty soon. This airport is so beautiful, the press is right about Iloilo airport being the “most beautiful airport” in the Philippines. If only NAIA Terminal 3 were open…lol. Chy, your pictures are so beautiful! Mind if I get permission to post one of your airport pictures on Wikipedia? I think it would make a fitting touch to the article. maskin anopa! da best ang iloilo int. airport, puede man mapabogal around the world>>..
hurry to all ilonggo..kita mo may ipabugal na kita sang achievement dira sa cabatuan/sta.barbara. ang airport nga na dako gid mabulig sa aton. …we should be, proud man kami diri sa qatar nga may ATON MAN KITA nga AIRPORT..kg kay chy gudluck pare..kip d gud work.. gya lang kami magasuporta sa mayo nga mga himo. san kba makakita ng ganito kagandang airport? ?hmmmm….gusto ko na gid magkdto da!! nami ang mga pics!! !try to add more pics!! !walang tatalo sa airport na ‘to..
great pics chy. it’s a nice airport. layo galing. i love the pictures. iloilo airport ( im confused- or is it datu puti airport? ) is really a stint for iloilo. next year ill be coming back to watch dinagyang. greetings from djibouti. Abi banwa binagbinaga…. kung comparahon ta ang airport sang singapore sa tanan nga airport sa pinas siguro makasiling kaman nga aaah…. indi man gali tianggi ah. Bisan gamay gamay lang kada isla pero madamo man di bala? Hulat hulat lang ah maabot gid nga mas maayo pa ang Iloilo. City of love ini ya…..
you know, the pictures was all magnificent! Congrats to all Ilonggos…im not an ilonggo actually but im planning to pass through iloilo when my family travel for vacation next year. but i just can’t help not to react the comment about comparing iloilo airport alone to the airport of the whole country of singapore. Don’t you think its nonsense? Nice pics to see…Glad to be Illoggo! daw mapuli man ko ba……PROUD to be ILONGGO…..
excited na gid ko magdungka sa bag o nga airport,dali na lang sa Dec.mapuli kmi with my Family…More Power&God BLess!!! Im proud to be an Ilongga,ever since!!! thanks for all the info..specially im here in gcc….very eager to go on vacation and very proud to have one international standard airport in iloilo…. wow too many sayings..pero who will donate or sell their rice fields to extend the runway abir? ?i heard the LOTS are getting expensive sa Cabatuan..let’s be content of what is now kay it takes years to have this new airport..then again they’re planning for a subway? ?or teren teren from iloilo -boracay maybe? ?…well ang train is good kung damo nga international planes gahugpa…….mas maayo kung e improve anay nila ang roads making it a 2-3 way lane each side kag ang transport buses/vans that goes back n forth sa downtown from the airport….oh well, am so excited to go home..proud to be a fil-am ilonggo here n Southern California….nice site CHY! !hope to see u sa WEST next year…. Wow kanami ang picture sang bag-o nag Iloilo Airport. pero 2.5 kilometer lang ang iya nga runway. indi man sa siling nga as a Ilonggo gina-hikayan ko ang bag-o nag Airport sang Iloilo. tani kun may budget pa nga so-ra dunga-ngan pa nila ang terminal . kag isa pa ka runway kag pala-baon pa ang runway asta 3,000 meters times 45 meters o 3 kilometer nga runway kag madako nga apron. tapos mabutang sila sang duwa ka train nga ang isa pakadto sa siyudad kag ang isa pakadto sa bag-o nga airport. nagahatag gid kalipay sa kasingkasing kun mahibal an naton nga naga uswag ang aton pungsod. Hulata ako ILOILO, magapauli na ako!!!! ever since the airport opened i’ve been looking for articles on the web about,- and this is one of the best i’ve come across – magnificent photography and well written, ang map lang ang di detailed. Daw gadali man ko magpauli sa aton. Good job cy! hopefully your feature about the airport will not be the last…..
the new Iloilo Airport… a magnificent landmark. sulong ilonggo, san o ma-cater sng intnl flight ang airport? As an expat now living in Calgary, Alberta, Canada, I’m proud on how my home city has prospered! Much thanks to you, Chy, and your Explore Iloilo, for keeping us updated! Great job, bro! Warm regards to all my kasimanwas and especially to the UP (Iloilo) Visayas HS Class ’69! thank you so much chy for these wonderful pics of the New Iloilo Airport.. and yes letÃ‚Â´s all burry the crab mentality we filipinos are known for.. letÃ‚Â´s all unite for a better Philippines and better ILOILO in particular.. hugpon kabayan should be our motto… and will give my best to introduce this site to my english friends here in San Miguel de Salinas, Alicante, Spain where i am now (i think am the only filipina here since i havenÃ‚Â´t met any pinoy in this part of Spain… havent said Ã‚Â¨itÃ‚Â´s a small world after allÃ‚Â¨.. hope soon will have a chance to meet a kabayan here… TO ALL ILONGGOS, MABUHAY!!! baw daw mapuli na ko ba! hidlaw na gid ko kaayo sang iloilo! thank you for sharing these pictures, it makes the excitement of going back to the philippines even more.. exciting! I have grew up selling pandesal and working at the farm from that area called Brgy. Duyan Duyan, Santa Barbara. I am very glad that I am one of the person to built a family vacation house along the new highway going to the airport. The area is very friendly and great place to live when I am retiring. As a Filipino canadian, I am very excited that Iloilo has improved their economy. Hopefully for the future it will continue more of its accomplishments. Good job mga kababayan!! Keep it up! Without a doubt Iloilo and the whole of Panay island will be the next Cebu in the making. But the main strength of this island is not their airport of international standard but the Ilonggos, the main settlers of this God-blessed paradise. Kaya wala ng inggitan o sira-an, ang maganda ay dapat magtulungan dahil yan ay ikabubuti ng bayan. Mahal kung kabayan sa Panay island wag isip alimango dapat isip tao para umasenso. Mabuhay kayong lahat mahal kung Ilonggos! e enjoy the comments and suggestion, one thing i’d like to correct is about the negative meaning of isip alimango, isip alimango means teamwork hindi sila naghihilahan, nagtutulungan yang mga alimango para makaakyat sa taas. so pag tayong mga Pinoy magtutulungan, or work as a team i’m sure magiging mayaman ang bansa natin. BEBE!! I’m so proud of you!!! i just LOVE your pics! mwah! Why do we need to compare Kalibo Airport to Iloilo Airport? We should be proud that we have two new airports with international standard in Panay island. This means that opportunity is within our sight and if we will invite our foreign friends even locals to visit our homeland isn’t it an additional income to our countrymen? We have a lot of resources and other things in Iloilo to show or introduce to the visitors, not only Boracay as the tourist destination but other places as well. Pictures and stories about the places being posted in this website is a fact that Iloilo has a lot to offer. Also, I agree with Chy comments that Iloilo Airport is the fourth busiest in the country. The fact shows due to the current influx of passengers coming from other local places and abroad. At least we have seen and know where our money (taxes) goes having this high tech airport that can cater all Ilonggos anywhere in the world. Mabuhay mga Ilonggos, be united and stop comparing……. The contigents of the Filipino-Australians are now ready to visit Iloilo City, during the 2008 dinagyang Festival. It’s a good opportunity for the delegation to set foot in the new airport. I am sure they will promote Iloilo when they come back for their holday. Yes, Ferdie, we ILONGGOS all over the world will promote Iloilo and the rest of the region as a tourism destination in the Philippines too. kanami gd ya ka airport sa CABATUAN ah….. I am very positive of the meteoric rise of Iloilo in the tourism driven economy once it starts serving international flights. For this reason, may I suggest that the locals must be well prepared for the challenges that it may bring. That is, continued vigilance as regards peace and security in the area, enough variety of food and its supply to cater to the needs of tourists both local and foreign, vigorous campaign to maintain cleanliness and environmentally-friendly programs in both private and government sectors and continued supply of hospitality driven population to maximize Iloilo’s economic potential and be at par with the Philippine’s or world’s best. Mabuhay ang Iloilo! nice photos. i hope it looks the same in reality.. cos sometimes PICTURES ARE THE BIGGEST LIARS! manami pagid sina kon may mass railway transit (mrt) nga maglink sa airport kag city pareho sang singapore kag malaysia….. Even though I am not from Iloilo but I religiously follow the developments and updates of your very beautiful air terminal. Kudos to the very informative pictures provided. I for one will bring hoards of friends and tourists to Iloilo knowing that I will not be put to shame with your legendary charm, hospitality and of course your modern airport. May I just suggest that Iloilo will be aggressive enough to promote and offer their homegrown products for tourists consumption instead of importing souvenirs made in China , Indonesian batiks, Thailand t-shirts or pearls from Davao. I believe Ilonggos do have something that tourists can be proud to bring with them by the time they go back to their respective places of origin. Lastly, please take good care of your new airport “baka kasi maging katulad din iyan ng ibang airports natin na okey lang kung bago pa pero hindi naman namemaintain ang structure at efficiency ng mga nagpapatakbo. So now it’s 2012 what happen to Iloilo Airport it’s already 5 years ago since you open that Beautiful Domestic Terminal which is not fair just for domestic use this Terminal deserve to be somewhere else. It really doesn’t matter wether Kalibo takes the first international flight in WV….what matters now is Iloilo has a more beautiful and a modern airport which will ulitmately boost tourism in the province. nice and beautiful int. air port of iloilo oke na!!! Great article dude… I have made this article a link to my webpage so that my friends can check it out as well… I’m so glad an ilonggo guy has come up with this nicely-written article that is sure to promote Iloilo to tourists. Mabuhay ka ! here in silicon valley there are 3 international airports: san francisco, oakland, and san jose. i can compare the size of panay bigger than the bay area. each airport have their niche destinations. having more than one international airport therefore is a bonus! think also of one serving as a backup of the other when the need arises. as far as tourists are concerned in panay, eventually they will also want to travel to the mainland, not just the beach because they want to learn and explore the culture of ilonggos. that’s where the churches, dinagyang, and the old houses come into play. this will all depend on how our tour operators or the tourism department want to package the island. so now, the tourist will have a choice of airports. good job CHY!! thanks for this website -what else more can i say.. and am proud to be a WEST grad too..hope to see u in MARCH’08. We’re proud of Aklan to have the first international flight in WV but note also that airports are not only for tourists but also for businessmen and the people that live there (Ilonggos) and the ones that live abroad. For decades the Mandurriao Airport have showed that there is enough traffic for expansion and I guess that’s the basis why the new airport was built here. I don’t think its a waste of tax payers money, the opening of the new airport will attract big businesses and taxes generated will pay for the airport in the long run. The Mandurriao Airport is the fourth busiest airport in the country in terms of passenger and CARGO traffic. This is a fact! talking about AKLAN airport..i think its all abour koreans again..oh well when i was n BORACAY last year there’s even a KOREAN scuba diving class offered….at least we’re still friendly ilonggos allowing them to occupy the space in ILOILo coz they bring the money to us it’s business on the rise now…also i am thinking that maybe itwill take another decade for d railway system to develop and i hope it will be as high tech as HongKong so it can service people from iloilo to caticlan….ahhh we’re getting there soon and this new iloilo airport will connect us all to the whole panay island and maybe who knows ILOILO will have a MAGIC KINGDOM and other water rides aside from Dinagyang to draw more crowds and to keep people busy..hehehe..good luck everybody!! I arched my eyebrows to the gummy bear who has some idiopathic notion pfffffffft about having two airports ..yay like do I look bothered? I’ll poke u in the eye! This is the pride of ILOILO …well done with the pics….i borrowed it for the blogs…thanks! Funny thing. It was Kalibo Airport who first have regular international flights. With the start of Incheon-Kalibo flights thrice weekly (by Asian Spirit, to be followed by PAL), with more flights being mulled from Singapore and HongKong to Kalibo. I dont think it would be feasible for Iloilo to take flights for Kalibo/Boracay bound passengers because it takes 3 hours minimum just to get from Iloilo City to Kalibo. If I was a passenger, I would rather take the one going straight to Kalibo than suffer another 3 hour bumpy ride all the way to Aklan. Everyone knows that Boracay is the country’s main attraction, and therefore the international airport should have been built in Kalibo. Having two international airports in Western Visayas (other one in Silay) that doesnt serve anything concrete is stupidity. There is nothing to see in Iloilo except the churches. Now who is gonna use the international airport now? Except domestic flights? Nice photos tho, but how much did it cost to hurt the Filipino taxpayers? you know what? you should have thought of the dire need for the other part of panay island to have a new airport. concentrating just in kalibo is sooo an act of douchebaggery! imagine if the airport is just in kalibo, those that live in the city proper would have to travel for almost 4 hours! the new location is very strategic… very far from interferences like flood which the old airport may actually experience. if you want to go to boracay, you’d be a total jerk to take a flight bound to cabatuan! and if you think churches are the only good sights in iloilo, open your eyes wide or you may need a lasik treatment! OMG! what a narrow minded comment, peace be with u, and next time before u say something pag isipan mo muna plsss. pagawa ka ng sarili mong airport dyan. It’s nice to have an alternative route if one is not working then you have another choice. get mo? Don’t you know that Laguardia, Jfk and Liberty international airports are with in 50 mile radius? gets mo? We finally have an airport that we can truly be proud of as Ilonggos. The first time I arrived and used the facility of this new airport, I was really amazed and proud to be an Ilonggo, because of its grandeur and simplistic beauty. People that came down from the airplane, particularly Ilonggos where so proud of this structure. I for one was in tears from the looks of their faces. Silly it may sound, but this structure can be an instrument that all Ilonggos would unite to promote our beloved city of Iloilo. It’s about time, that our city should be known. While many politicians have claimed to have been instrumental to the realization of the NIA (New Iloilo Airport), the credit should rightfully go to the Ilonggos who have persevered and withstood great sacrifices to see to it that this modern airport will rise. Chy, thank you for d updates..we’re proud of you having this website for ilonggos like me here in US to see of what’s going on at the moment ..very impressive pics..i can’t wait to go home and see the changes of ILOILO …..definitely this will make ILOILO business, tourism and trade expand to max..God bless u all!! c o n g r a t s ILOILO!! Wow, i love the pics…..amazing…..daw kanami man matyag ta kay finally may airport na ang iloilo of international standard. Ti daw umpisa na ang damo nga tawo (including tourists) nga mabisita sa iloilo kag yes! dira na ko makasakay kag manaog sa bag-o kag social nga airport…. Thank you chy sa pag-update sa amon kay nabulong gid bala ang amon kahidlaw sa Iloilo. Fabulous, di nako kahulat nga makita ko ang new airport personally… I happy that Iloilo has a big improvement. Ayos mga pics mo, chy! Thanks!